Tonight’s Meet the Maker is motivated by the enjoyment of sharing, the giving of items made from the heart as many of the pictures display. James Phillips of J.K. Timberscraps began his woodworking adventures by being a painter for a construction and remodeling business. When a soffit or something similar needed replacing it seems James was the only one in the crew interested in figuring out how to fix it! Often he would be just finishing the fixing part as the paint crew came and would then “switch his hats” and then paint what he just finished fixing! After working for someone else for awhile, on everyone else’s homes, James decided he wanted to work on his own items! That started him on the road of furniture restorations as evidenced by the armoire pictured. James was contacted by one of the leaders of the local Make-A-Wish Foundation and asked if he would donate a cutting board and he added some of his carved spatulas, roux spoons and a bottle stopper also. The woods he used were walnut, sapele and maple. James has started turning and also made the Honeydippers! Following in his making and giving fashion, at his church the ministers use iPads for sermons. 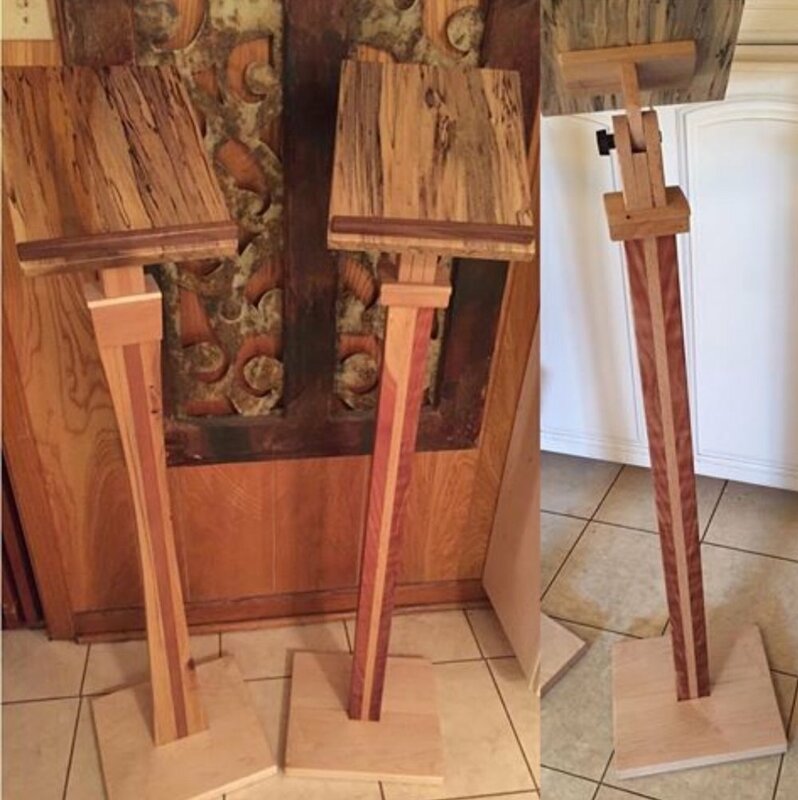 James researched and then designed the iPad podiums using maple bases, spalted poplar, walnut trim with one podium having a cedar and maple support and the other support made from cypress and sapele. While out on the beach, James found some lumber from an old shrimp boat and made the banquette. 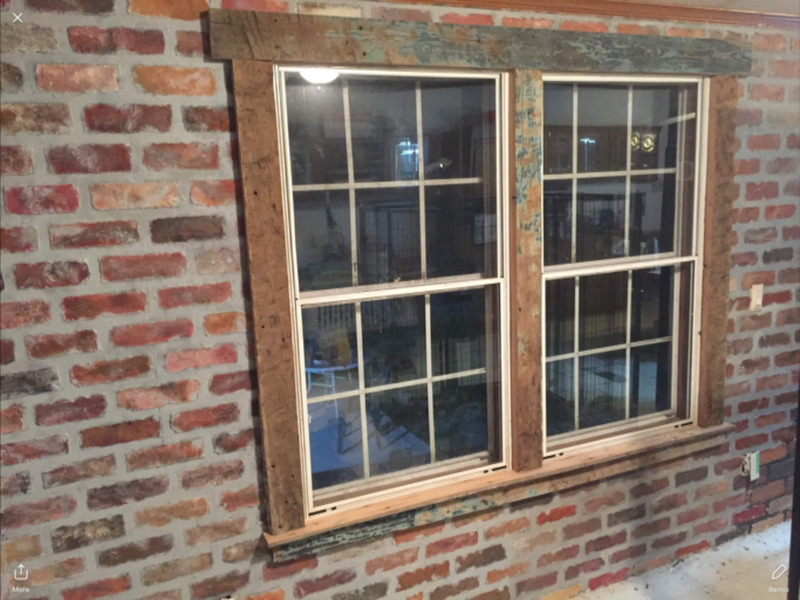 He also used the reclaimed wood for his window sills. The paint definitely lends that nautical feel to the old boat wood. While James was cleaning the lumber he found the mill stamp - 1937! James has been renovating his house. He built the light out of a scrap beam, a light kit, and an old chain. The Edison bulbs are perfect with his design. In the kitchen renovations, note the old island that’s gone and in it’s place the cedar-topped kitchen work area! 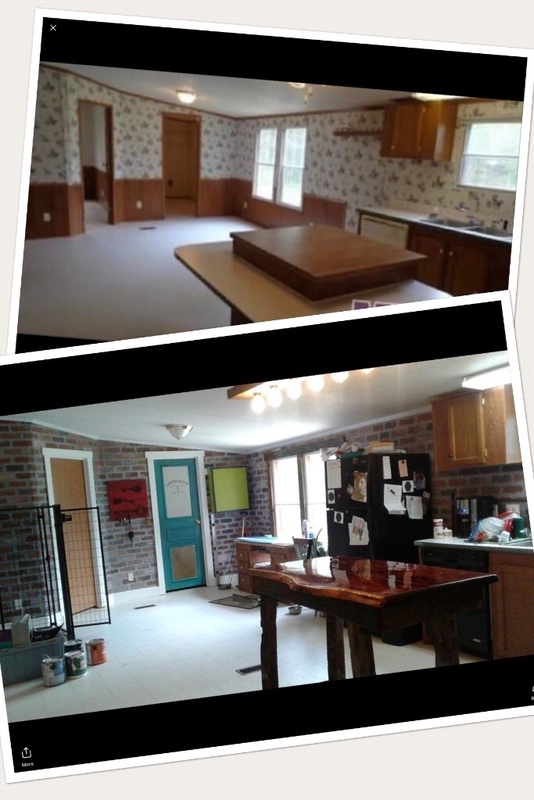 Follow the link below to see more of J.K. Timberscraps!